So far 2014 has seen the highest tonnage shipped in over 7 years. Many carriers face the problem of too much freight, and trying to maintain performance efficiencies. Often this results in GRIs (general rate increases). These GRIs create unwanted challenges for carriers – increased price management, and their customers – the need to pay more. 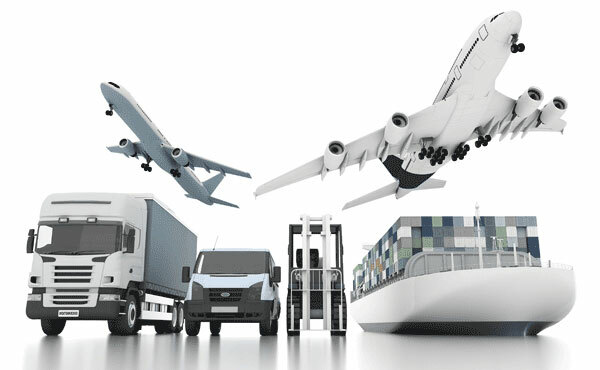 Third Party Logistics firms (3PLs) offer a solution for both carriers and customers. Here are the top 5 advantages of a 3PL that everyone can benefit from. On the surface, this might seem only a benefit for the customer. After all, the customer gets to choose from a variety of carriers to find the best price and delivery time. Carriers do benefit as well. A 3PL eliminates the back-and-forth of negotiations which can occur between a customer trying to ship for a low price and the carrier trying to get it on the right truck. For carriers, it also allows for the best allocation of freight, maximizing space, and makes the most of every run. The apparent ‘competition’ of a 3PL actually gets the best possible freight for the carrier, and the best possible price for a customer. Let a 3PL manage the pricing. Company’s looking for shipping can go to one place, rather than spending a lot of time calling on multiple carriers. And the company only needs to provide pickup zip, destination zip, piece count, and weight – Once! Carriers working with the 3PL can strategize to create tiered pricing with their revenue goals and target freight in mind. This gets the targeted freight that a carrier wants on their trucks, at a price that makes sense and protects margins. It also allows pricing to focus on the space taken up in the trailer versus working with a class based system. Paperwork is a necessary evil. Shippers don’t make money creating documents and customers don’t make money filling them out. A 3PL facilitates document creation with the customer, the best ones collect the information online and quickly provide electronic documents. Then it provides the appropriate documents to the carrier, allowing the carrier to focus on making money – getting trailers filled with freight from Point A to Point B. 3 PLs need to leverage technology to provide the best service to both customers and carriers. This simplifies the shipping process for companies who need to ship, and allows LTL carriers access to technology which can locate their ideal customer. The software used by 3PLs allows for customers to quickly narrow their search and find their ideal price and delivery time. And all it takes is a few clicks of a button! Customers with special shipping requirements no longer need to make calls to find a carrier who can handle it. Quoting systems include selections such as Inside Delivery, Inside Pickup, Hazardous Materials, Residential Delivery and much more. Simply select the appropriate needs and the system will generate quotes for appropriate carriers. And the LTL Carriers can spend less on advertising these capabilities – the quoting systems readily advertise a company’s services. As shipping tonnage continues to increase and competition impacts profit, carriers and shippers can both benefit from working with a 3 PL. Leveraging technology, a 3 PL helps lower costs for everyone and get freight moving more quickly. When carriers have wheels on the road and shippers have their product delivered quickly, it means more dollars for everyone.